ABBOTSFORD – Another round of changes to the Seasonal Agricultural Worker Program has farm employers on edge after the hassles of obtaining workers for the 2018 season. Come 2019, workers from Mexico will have to provide biometric identification prior to arrival while employers face new housing standards against a backdrop of an ongoing review of the standards themselves. The concern was palpable at an all-day workshop the BC Agriculture Council organized in Abbotsford on September 21 to help growers understand what lies ahead. Biometrics and housing dominated the concerns expressed by the approximately 50 growers and 30 government and farm sector representatives in the room. “God help us with the biometrics,” quipped Hugo Velázquez Vázquez, co-ordinator of the SAWP program at Mexico’s consulate in Vancouver, towards the end of the day, having previously congratulated growers on surviving a season that saw 5,777 workers from Mexico arrive in BC despite processing delays that left many applications unfilled. Alarm bells regarding Canada’s plans to collect biometric data have been going off since July, when growers were still grappling with the lack of workers needed for this year’s harvest. Approximately 24,000 workers will have to be processed and the information is good for 10 years. While a commitment exists to ensure a processing capacity of 1,000 people a week, up from an original estimate of 250, the work will still take nearly half a year. It will also mean a second trip to Mexico City for participants, which could cost them hundreds of dollars. There’s a fear some workers may say it’s not worth the expense. However, workers approved for SAWP by December 31 won’t have to provide biometric data, so long as they arrive within six months of approval. Service Canada began accepting applications on August 10. BCAC advises growers to submit completed applications by November 7. Growers have been told it could take six months from application to a worker’s arrival. Approximately eight applications had been received as of last month’s meeting, and at least one grower had already received an approval. Once an application arrives in Mexico, it can take 144 days before a worker lands in Canada. Mexico is a particular problem because of systemic issues related to how applications are processed. A worker’s name may be typed five times prior to arriving in Canada, for example, because Canada’s confidentiality protocols require documents to be faxed or snail-mailed rather than submitted electronically. Re-typing increases the risk of misspellings and delays. This isn’t the case with workers from Jamaica, which has collected biometric data since 2013 and after an initial hiccup has eliminated delays. Processing now takes about two months. Jamaica sent nearly 1,400 workers to BC this year, and the number is growing. 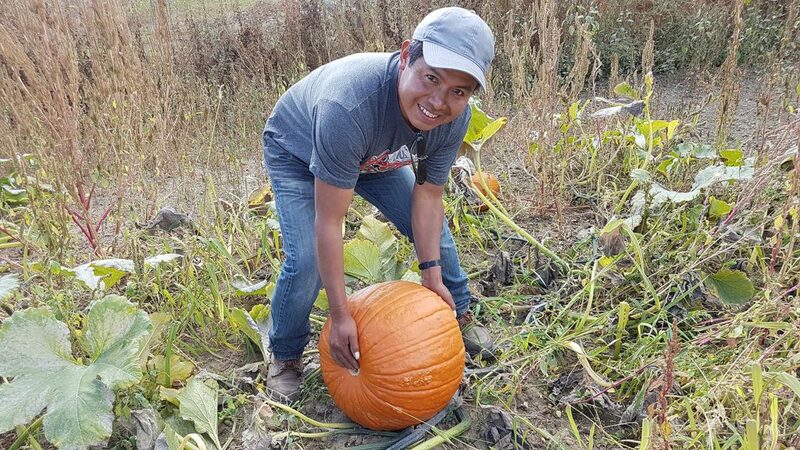 Reports this summer that an increasing number of foreign nationals with tourist visas were working on BC farms for cash is heightening concerns regarding access to foreign workers. BCAC could not give examples, but it issued a stern warning to members that such practices could jeopardize existing labour programs, including the agriculture stream of the temporary foreign worker (TFW) program as well as work provisions of visas for youth exchange participants. Those programs are already coming under provincial scrutiny. The province has announced plans to establish a registry of foreign workers as part of a $3 million overhaul of how employment standards are managed and enforced. BC labour minister Harry Bains was not available for interviews, but ministry staff confirmed that SAWP workers would be included in the registry. The registry will facilitate government audits of workplaces where employees may be ignorant of their rights or subject to abuse. 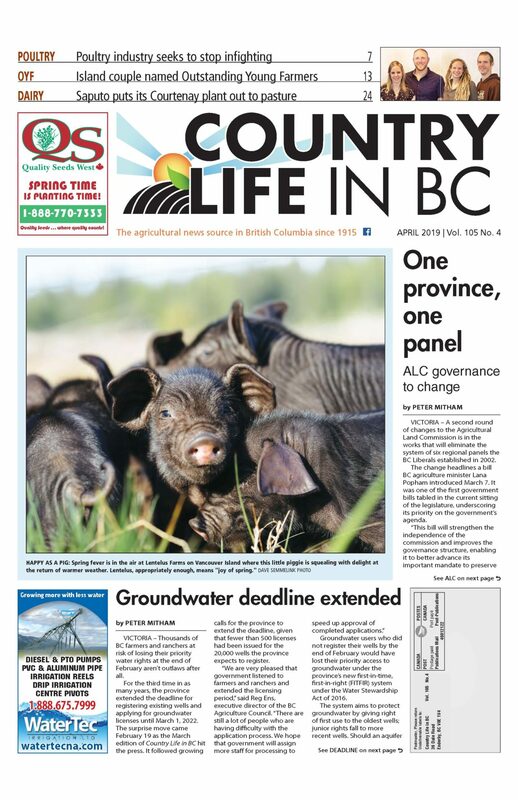 “The goal is to strengthen protections for these vulnerable workers,” Bains’ staff told Country Life in BC. Mexico removed 260 workers over safety and rights violations last year, and at least 125 this year. The latest incident regarded a farm that was paying workers a piece rate rather than the hourly wage stipulated by the program. Glen Lucas, assistant general manager of the BCAC-owned Western Agriculture Labour Initiative, says any registry should incorporate the one that exists for SAWP workers. Rather than duplicating SAWP’s registry, BCAC would like to see government channel agriculture’s portion of the new registry’s costs into SAWP education, such as last month’s workshop. A key area for education is bullying and harassment. Consular staff have been asking to see farms’ bullying and harassment policies in personnel manuals, something required since 2013 but seldom requested prior to 2018. Vázquez said it would be a key priority in 2019, as housing issues are resolved and harassment becomes responsible for a greater proportion of worker removals. Paul Bergin, a prevention officer with WorkSafeBC, told growers a bullying and harassment policy must be part of staff manuals. This must be in the workers’ language, and signed along with the employment contract. However, agriculture accounts for a small fraction of the 1,100 complaints WorkSafeBC has investigated over the past five years. Housing standards continue to evolve and a new standard isn’t likely to be ready until sometime in 2019. However, growers’ primary concern last month was with the furnishings required, from mattress types to appliances. Growers were reminded that housing must be exclusively for workers and be equipped with a stationary stovetop or standard range and oven, as well as washing machines and dryers. A fire safety plan is also a must. A fire in Abbotsford this spring that displaced dozens of foreign workers was a wake-up call. Vázquez told growers that if someone dies in a blaze and appropriate fire detection and suppression systems weren’t in place, it could jeopardize SAWP altogether. BCAC is working with the provincial fire commissionaire to develop a uniform standard for worker housing, as standards currently vary by municipality.